Oh lets have some visitor feedback here but dont post photos and spoil the effect for other visitors. It is up and running now. A tail end image went in today and the voting slips etc should now be in place. Pete are we able to just call in for a look at the photos via the cafe? Yes, You don't have to visit the cave to see them although an advantage for the exhibition is that cave visitors exit throgh the room where they are displayed. PS Don't spill your take away Costa's on them! I am hoping they are going to project the images on the screen in there as well. they should have a USB stick of mine with them on it. Well sorted Peter. I know you did most of it on your own. Lets hope its visited a lot and appreciated. I might look in again next Tuesday. If Ali M is there she can buy me a coffee. 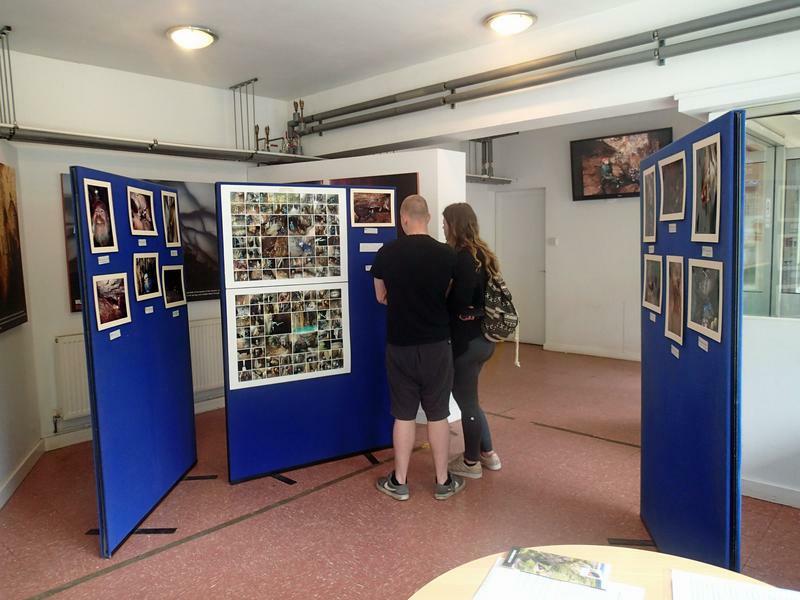 My Fairy Cave Quarry photo collage at the Exhibition. Not too close. Dont want to spoil things for visitors. I think many of the comments in the visitor's book related to Gough's Cave rather than the photos. Never mind. Strange as the book cover specifically refers to the exhibition! The book gets left open on the table so visitors exiting the cave dont see the cover. Not much you can do about that. Personally I would have liked to see more exhibition. Things to lead non cavers into the hobby. Club contact details even professional points of entry. I think mine was the only non competition exhibit which is a shame. There was certainly enough room for much more information. OK even a little about this forum on a poster. If anything we have wasted a good opportunity in introducing more people into the hobby. That is not to criticise any of the organisers. Next time a slight change of remit might be good if we want to popularise caving. Its odd really. 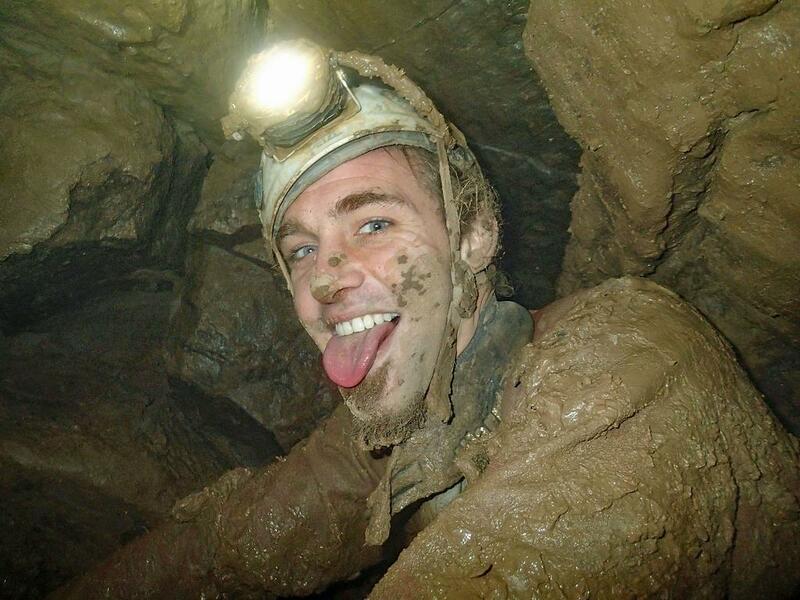 I got slagged off on another forum by people criticising the dangerous sport of caving where " hundreds of people die ". The Wiki stats do suggest that but go back to 1929 worldwide. Also the old thing about " putting public services at risk " when they have to rescue you. These concepts appear often in the minds of non cavers ( oh the horrible mud ) . We certainly do not do enough to address that. Well, after the stress of the last 5 years, I think you have talked yourself into my job OR as I plan to step back from involvement next year! 2 Likes tony from suffolk and PeteHall like this. We certainly do not do enough to address that. 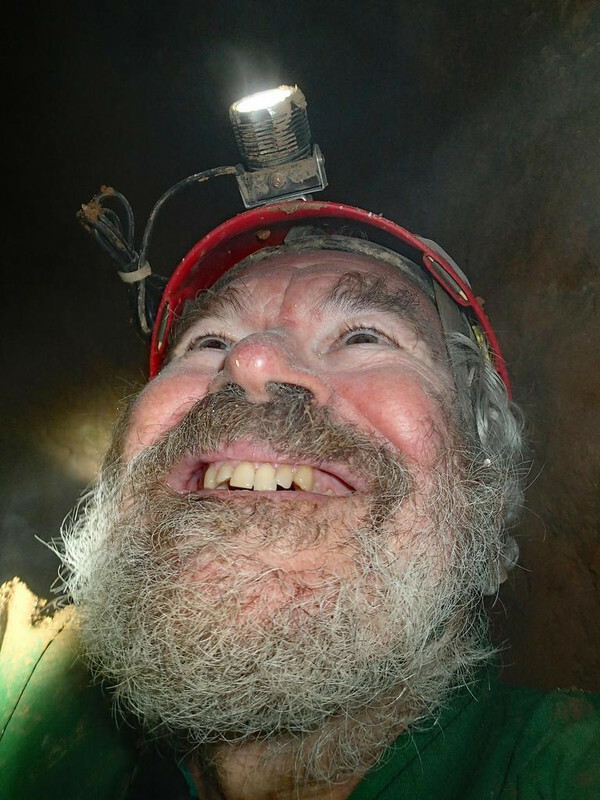 www.newtocaving.com - full off inspirational photographs with happy smiling people enjoying themselves underground. Oh no I will be 71 then. Much too old to front up anything like the exciting world of caves. Went to Wookey Hole today. That was exciting enough but the 5 year old grandson was not impressed. I did manage to keep mum during the entire cave trip though. Maybe some photos later on another thread. Peter you do a grand job and my comments are not any criticism of you. Darn. That's my chance of getting a prize out of the window. Jane any chance of getting one of your posters down to Martin or Peter to put up in the exhibition hall? We must be willing to get rid of the life we've planned, so as to have the life waiting for us. 2 Likes Judi Durber and Pegasus like this. You will have to ask Cheddar Caves about putting them up. They seem a little picky about what goes up but it does sound like a very good idea. Have a prize ready for collection if anyone can help. Getting on with something a bit different for the exhibition. Had to have the job done in Berlin but so far it looks good to me. Finally got to the exhibition at the weekend and couldn't come away without commenting on your fab 2 part poster set. 1 Like The Old Ruminator likes this. Note that the exhibition closes each day at 4pm, as we found out this afternoon. Fortunately one of the staff very kindly unlocked the door for us. Tis a miracle. Grater even than England winning the World Cup. Thanks Mike Kushy for the pose. 1 Like dudley bug likes this. Sorry about the error which is corrected on Facebook. it was a picutre entitled One of the best known faces on or under Mendip. You voted for the picture of you ! There are creatures unknown to science lurking within that beard.